You can tell just how much this series has developed from this episode alone. Tactics and strategy are at an all time high already (yes, those are actually two different things). The conflict is much more complex this time around and even the action scenes are more intense with a higher budget to throw around this season. 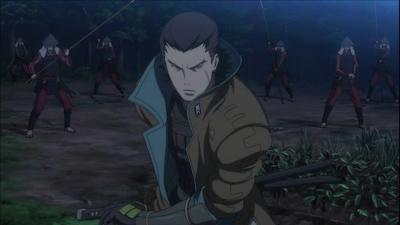 Regardless of Date Masamune being arguably the best fighter in the series, Hanbei's schemes have managed to get him in over his head (much like Mitsuhide's plans in the previous season). This time it seems much more dire as his right eye Kojuro is taken as a prisoner of war. 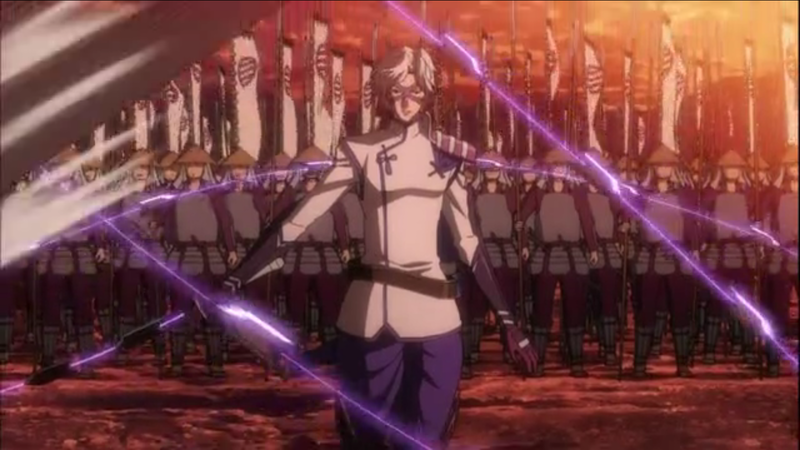 I actually feel sorry for Masamune because thanks to Hanbei, he makes Masamune seem inadequate to lead his own troops. Before Kojuro was defeated and captured, he made mention that only Masamune could lead their land and he would follow no other. I really hope those words are true and Masamune steps things up other than his combat skills because those aren't going to be enough. We might see a push in his character because of this as he won't have his right eye to help him through. Keiji stands at a crossroads. He's at odds with his own family as he doesn't want them joining Hideyoshi. He hoped for peace but even after Nobunaga's defeat, his friends are still at war among each other. He visits Kenshin to ease his mind but things turn for the worse in the end. His family is on their way to attack Kenshin (due to their alliance with Hideyoshi). Finally we have Yukimura ready to leave with Takeda's elite. Yukimura will have to lead without the Tiger of Kai's help and will be forced to aid the far West if they hope to get an advantage over Hideyoshi. Things are getting very intense and everyone is resorting to drastic measures when we're only two episodes in. Since Hanbei plans to attack Chosokabe next, I'm looking forward to his appearance. Leak Sauce #4 Omnibus Style! Kylak's Blog Just Leveled Up!